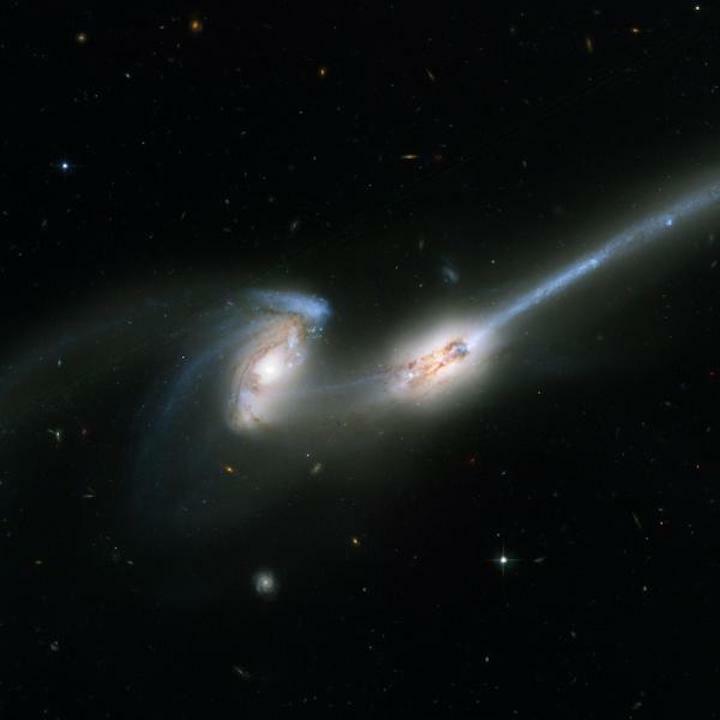 Galaxy mergers—in which two galaxies join together over billions of years in sometimes-dramatic bursts of light—aren’t always easy for astronomers to spot. Now, scientists from CU Boulder have developed a new technique for finding these cosmic couplings. A team led by Rebecca Nevin designed a computer program that scans through surveys of galaxies to look for a wide range of signs that a merger might be happening. That includes the shape of the resulting galaxies and how the stars inside are moving. The method could help scientists to identify hundreds or thousands more merging galaxies. That’s important, Nevin said, because such mergers may be an important step in the building of huge, spiral galaxies like the Milky Way and in kicking off the formation of new stars. She will present her group’s findings Jan. 8 at a press briefing at the 233rd Meeting of the American Astronomical Society in Seattle. Her work builds on observations from the Sloan Digital Sky Survey (SDSS), a long-running census of the night sky undertaken by a research partnership that includes CU Boulder. Scientists on that survey have snapped about 500 million images of space since 1998, many of them showing galaxies far away from Earth. Spotting merging galaxies in such surveys, however, can be a bit like finding the titular character in Where’s Waldo? Take the “mice” galaxies. Scientists suspect that these twin spirals, located about 290 million light years from Earth, are beginning the process of coming together—in part, because the galaxies are connected by a narrow bridge made up of stars. Other mergers, however, can be easily mistaken for a normal galaxy out on its own. To date, no one technique has been able to identify all types of mergers at all stages in their evolution, Nevin said. To locate those missing mergers, she and her colleagues are turning to a common tool in astrophysics: computer simulations. The team designed a series of simulations that seek to capture a wide range of different ways that two galaxies might bump into each other—creating mock observations of how such mergers would look to a telescope. “These simulated galaxy mergers allow us to follow billions of years of evolution directly, whereas observations of real galaxies are limited to single moments in time,” said Laura Blecha, an assistant professor at the University of Florida who led the simulation work. The researchers used those simulations to train a computer program to recognize the telltale fingerprints of these unions. 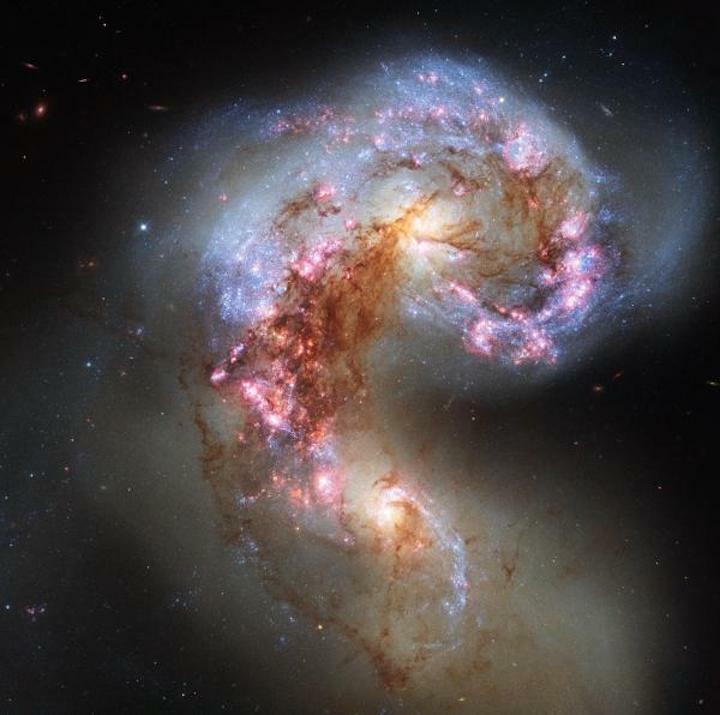 Merging galaxies, for example, tend to be less symmetrical than run-of-the-mill spiral galaxies. The team, which included Julia Comerford of CU Boulder and Jenny Greene of Princeton University, then employed the same program to scan real-life images of galaxies collected by the SDSS. And it worked: depending on the types of galaxies involved the team’s technique could correctly identify fusing galaxies 80 percent of the time or more. Nevin and her colleagues will publish their findings shortly in The Astrophysical Journal. The researchers didn’t stop there. They are also working to incorporate measurements of the way that stars move in a galaxy, or “kinematics,” into their hide-and-seek technique. “This is a novel approach because it’s bringing imaging techniques and the kinematics together,” Nevin said. She expects that her method will increase the number of known mergers several-fold. That expanded dataset, she said, could help scientists to better understand how often these sometimes-dramatic unions occur and how they might contribute to the evolution of the cosmos.